Happy 2013 to all! I hope everyone had a pleasant extended well-earned break from the normal work week. I am starting this year with a complete recant of a report from last year. Last April, I panned The Hakushu 12 year old. The whisky I'd sampled was shockingly ugly, full of notes of cheesy-beefy-flatulence and a kitchen gas leak. 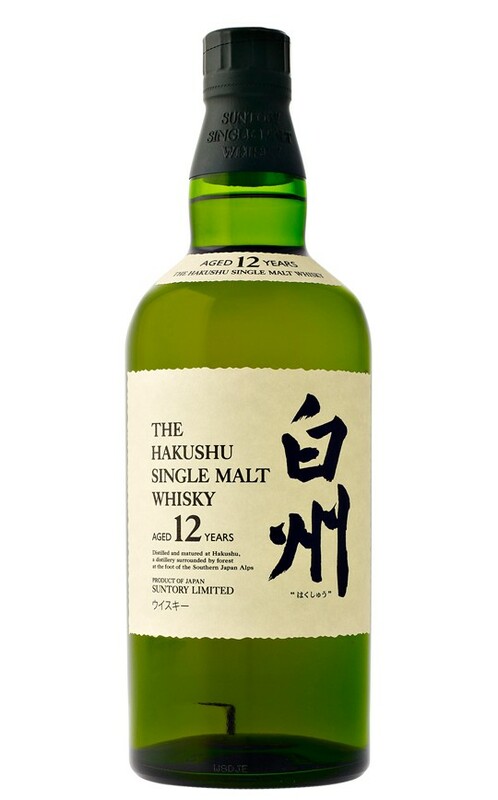 I say "shockingly" because The Hakushu 12 had received raves from a number of folks I respect. In fact the word on the whisky street was so positive that I going to buy a whole bottle of it blindly; I even price-shopped it for two months. But the Master of Malt sample of Hakushu that I tried convinced me of the opposite, the whisky was disappointing. But, as I ended my report, I wrote: "I wouldn't mind giving it another spin someday......just in case." In the late fall, I tried it again at a OC Scotch Club event. And it was......really good. This round of whisky came not from a sample bottle but directly from a newly opened 750mL. President Bob of the OC Scotch Club awesomely allowed me to steal away with a 1 ounce sample of my own. On New Year's Eve, the sampled was consumed. The color is a bright light gold. The nose leads with doused kindling, soil, dried apricots, and light sweet wine. There's a cleaning solvent note in there, but in a good way! After a few minutes, a subtle green leafy note arises, possibly spinach. The palate is a peated confection: vanillins, brown sugar, and sweet cherries. It's very creamy, vanilla ice creamy in fact. There are some ashes and a touch of salt. It finishes first sweet, then peat. Peat ashes again. Sugared fruit, a little salt. It's extensive and warm considering its low-ish ABV. The nose loses its prettiness, gaining weight and malt spirit. Some cocoa, tree bark, and vegetal peat too. Some of the infamous gassy edge starts to peek through. The palate becomes simpler. Vanilla, malt, mild peat, notebook paper, and fruit cocktail juice. It finishes briefly, with that fruit cocktail juice character, a little peat and vanilla following. I recommend this neat. Period. Keep the water out, please. Anyway, Hakushu, my apologies. I was led astray. Thou art good. May this new year bring many more happy discoveries, especially in places we'd never expect to find them. Sounds like your first sample went "bad." Which will happen to any of us eventually.